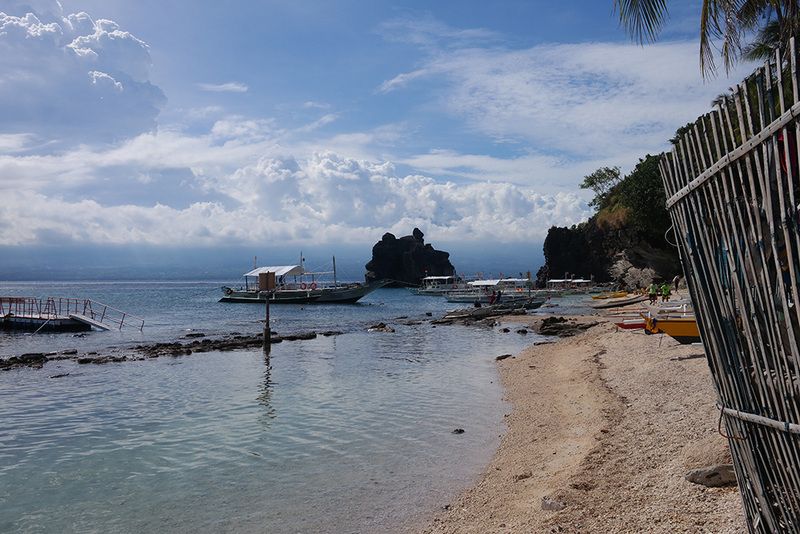 Dumaguete to Apo island, Philippines and Turtles swimming! 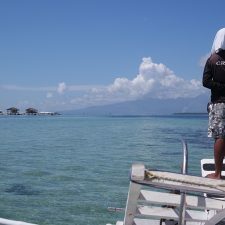 Dumaguete to Apo Island without a tour, is it possible? 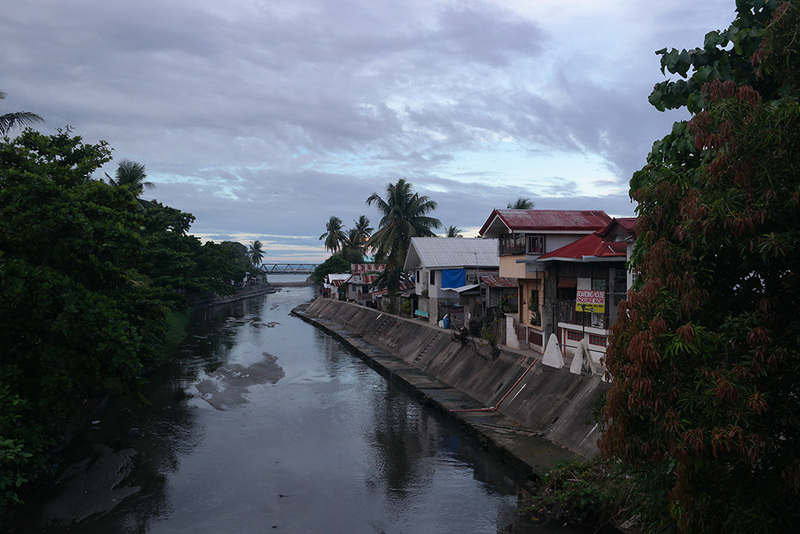 Dumaguete is the most populous city in Negros Oriental island in the Philippines. It has a beautiful waterfront , called Rizal Boulevard, and it is a developing student city – mostly untouched by tourism. In our 4-day–stay here we saw less than 10 «westerners» in total while in our neighbourhood (a traditional Filipino one, just next to the university!) we hardly saw anyone! 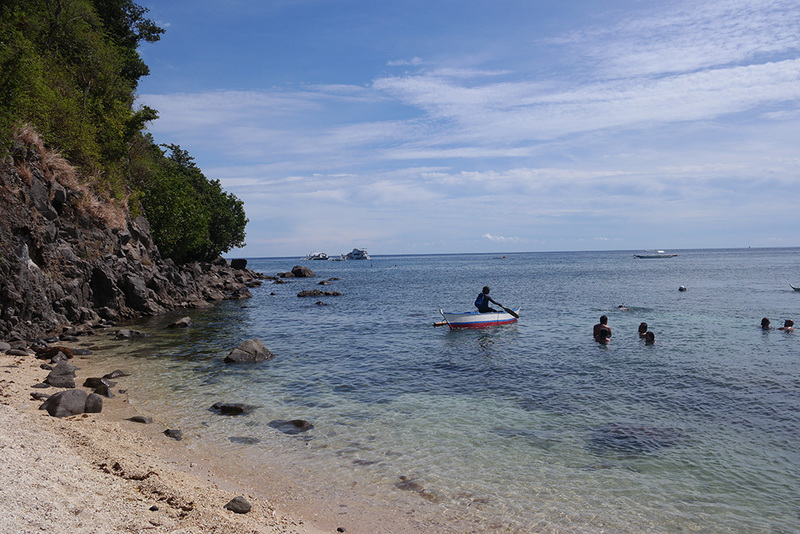 The main attraction in the province is the diving paradise, Apo Island, one of the top 100 Best Diving places in the world! It is one of the most famous islands for swimming next to the free turtles too! As it is a bit hard to get to Apo island , the area is still untouched from the mass tourism and the turtles are still happy living an almost normal life! There are tour operators that organize daily tours and there are some resorts on the island too but what if you want to get from Dumaguete to Apo island on local transportation by yourself without a tour? DIY is totally doable! 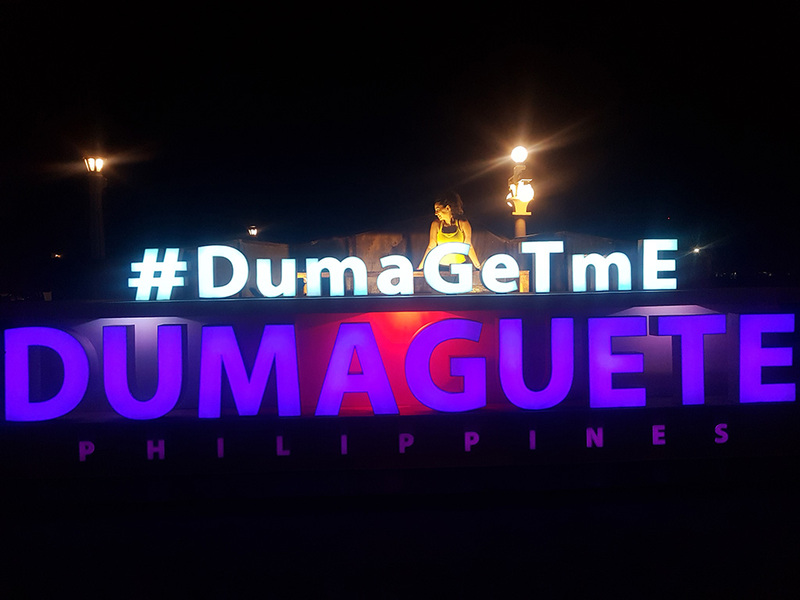 Dumaguete’s new signage on the seafront boulevard has just been installed! Lucky me! If this is your ever first visit to a developing country you may face a cultural shock but do not allow this feeling to underestimate Filipinos, one of the most hospitable and friendly nation in the world! Smile, be polite and everything will run smoothly! So, long story short, you have to arrive at Dumaguete first by plane from Manila or Cebu, by ferry from Cebu , Siquijor or other islands, by coach etc. 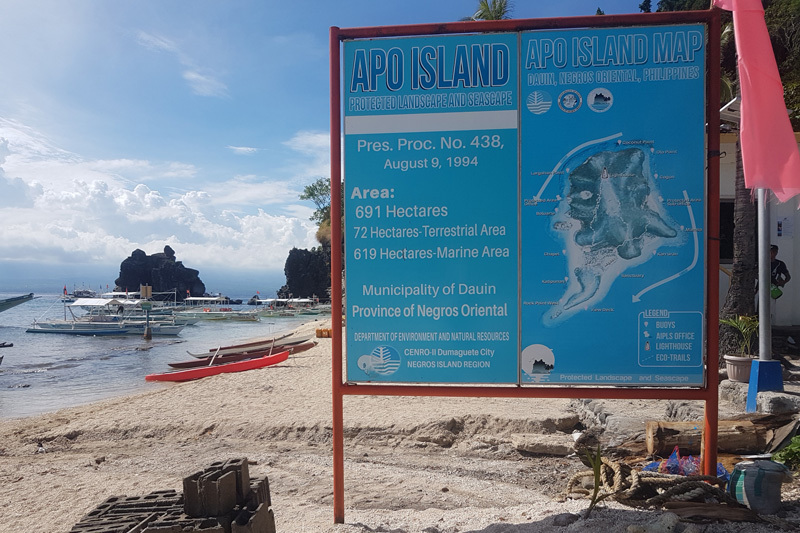 Now, that you are here, Apo island is only few kilometres southern! 1. Make small change!! A 500 or 1000 Pesos note (£7 and £14 respectively) wont take you far as this is A LOT of money for the country. The best option of petty cash on hand is 10, 20 and 50 pesos as everything here is extremely cheap- keep reading! 2. 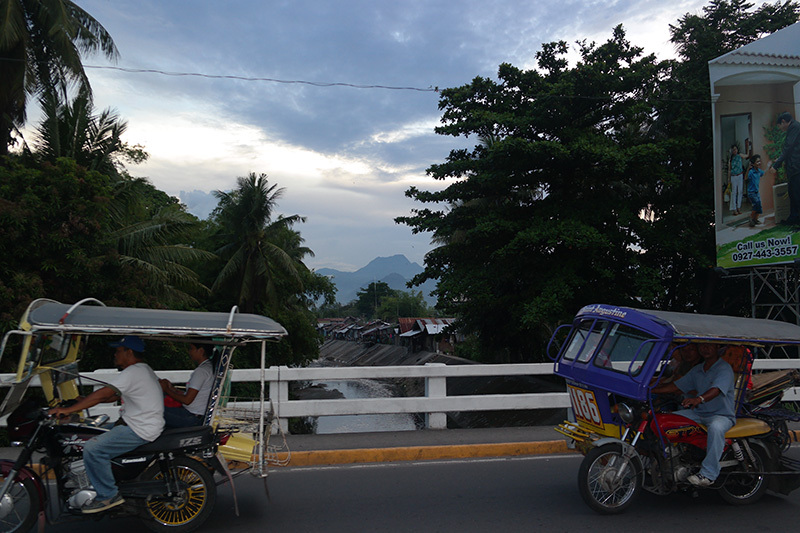 Take a pedicab (=tricycle) to Cebes Terminal Bus Station. This costs 8 pesos (11p…) per person unless you have lots of baggage or if you catch it out of the city center. You can even walk, if you stay close by, as the city is quite small. Some drivers will insist to drive you directly to the ferry port, that is located about 24km from the city, for about 200pesos (less than £3… ok, I will stop!) per tricycle so you can just accept the offer and end your «public transport adventure» here! 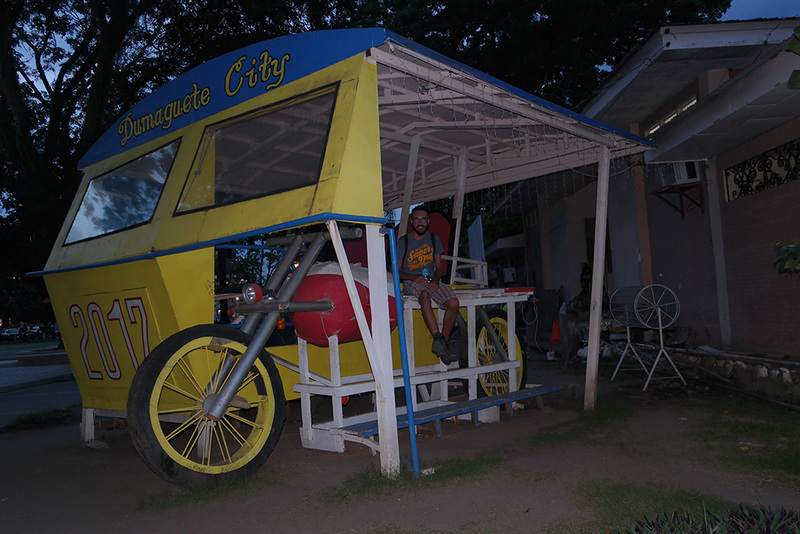 This is a quite big pedicab, I have no idea how much it will cost you ? 3. At the bus terminal you don’t have to buy tickets in advance. Just find the bus that heads to Bayawan (buses run every 30 minutes) and hop on! Your stop is at Malatapay Market and the conductor will inform you when to hop off (time journey around 30 minutes). The air-conditioned bus costs 50pesos and the normal 30pesos (I prefer the second one as they drive so crazy so plenty of fresh air comes through the open windows!). 4. 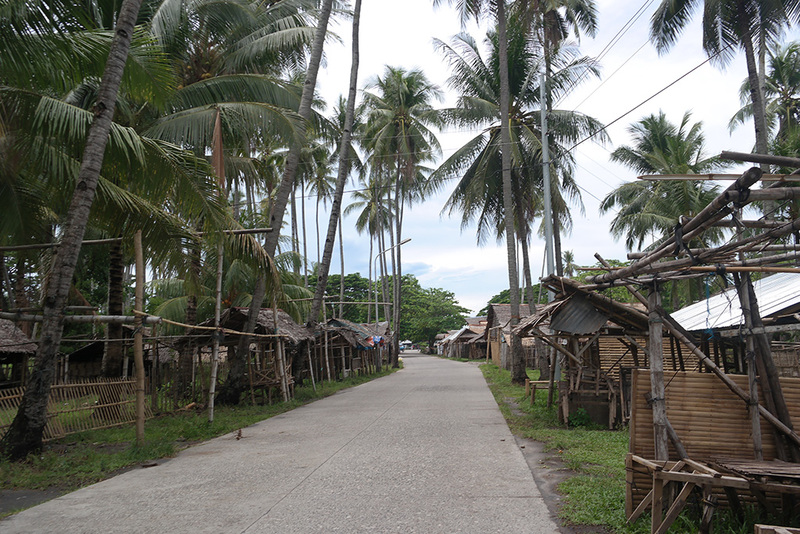 Malatapay Market is a 500m path that leads to the port. It is usually quiet…except from Wednesdays when the local market takes place on here! 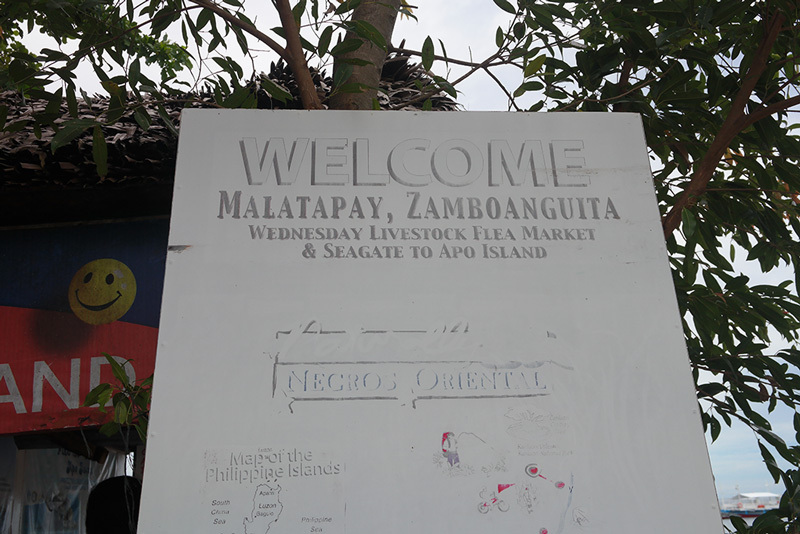 It is one of the biggest markets of Negros Island and a must-see full of local products, fruits, animals and stuff that can be found only on local places! 5. When on port you have two options: if you arrive in time for the local ferry, go for it! It is cheaper but check upfront the return time (usually at 4pm) unless you are up for spending the night on the island! Otherwise you need to hire a local boat and the cost will be split amongst the passengers. We ran late for the ferry so we had to wait 10-15 minutes for some tourists to join us and finally the return trip cost 650pesos each. In fact, we could have paid even less but the driver agreed to leave us 1 extra hour on the island so…fair enough! 6. The final branch of the journey takes about 30 minutes! Be prepared to get really wet as the traditional Filipino boats are very unique-made (I love them!!). 7. You are here… Just pay the 100 pesos registration fee and let’s go for turtle swimming! 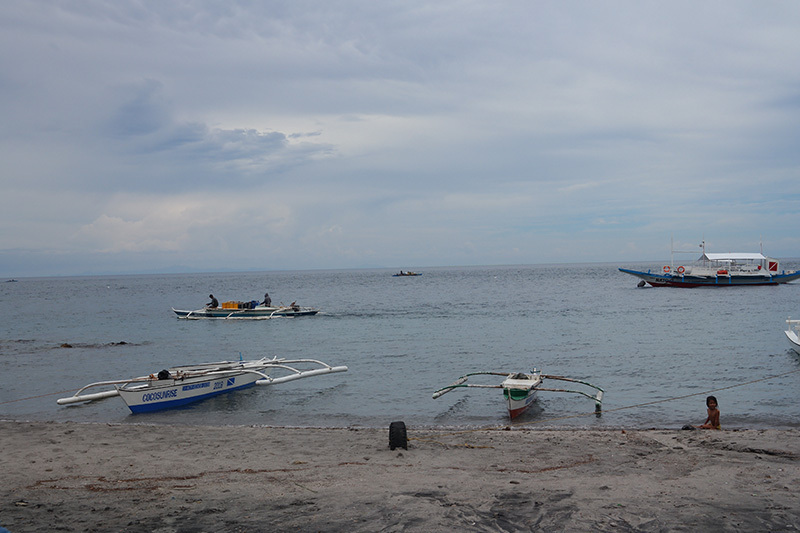 Filipino boats awaiting for us! The truth is that you won’t be amazed by the beaches but… you didn’t do such a long trip just for an exotic beach, right? The Filipino sky is always amazing though, isn’t it? You can hire a snorkelling guide to show you around for less than £5 and they can point out the best spots for the turtles as well! The most amazing thing of the Apo island is that the turtles just live on their natural environment and the tourist industry is not big at all (yet) so no need for hiring boats / diving gear / having PADI etc. Turtles can be found just 10 meters away from the coast! Seriously! Can you see the buoy just behind the people? Oh yes, the turtles are swimming around there! We didn’t hire a guide, we just used our full face snorkelling masks and Dimitris was lucky enough to spot 4 turtles from the first dive in!! Excitement!! After a while I joined him and… well, the video speaks by itself! Have you ever swum with turtles in the wild? If not, would you do that? Turtles are not the only beautiful creatures here! 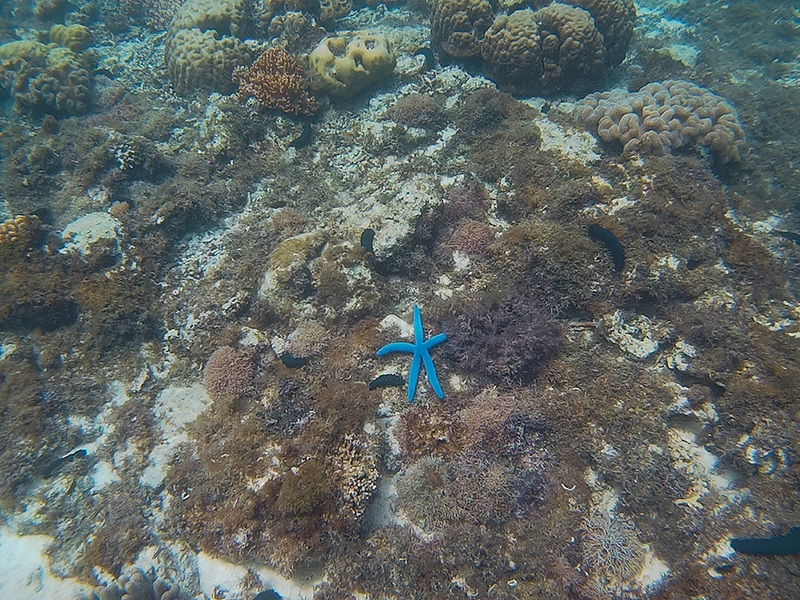 A blue starfish Linckia laevigata is also very impressive! What a colour mate! P.S. As with the monkeys in Langkawi island , obviously, we can NOT touch / feed/ «play» / chase/ scare the turtles! Keep a safe distance and try to interact as little as possible with them. Observing is always on the safe side! Enjoy! I visited Dumaguete and Apo Island 10 years ago and that was the first time I saw a turtle swimming in the sea. I can’t wait to step on that place again. Really? I can’t imagine how quiet it would have been! Great run down of the island. I had never heard of this island before, which does explain why you saw so little tourists there. Thanks for sharing this hidden gem. Last time I was in Dumaguete, I was planning to take go to Apo to dive, but instead, I went to Siquijor -which was also a great idea! Next time though, I’ll make sure to visit Apo as I’ve always been wanting to go! I had a very similar experience when I lived in Bali, I was able to swim with turtles in the Gilli Islands and it was such an incredible experience. Great tip on giving small change, so many times when I’ve been to poorer countries and you see people giving big money and know they will get ripped off – But just how incredible is it to see turtles in their element, they are so elegant in the water. This island looks really beautiful, gonna travel this one really soon. 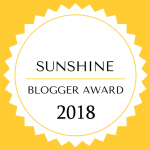 Thanks for sharing dear…added to my bucket list! Wow. 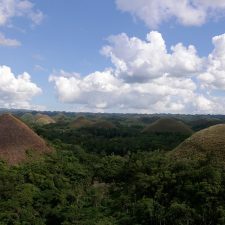 I am from the Philippines, but I have never been there. You have written such a detailed guide. Even I want to see some turtles now! Thanks for sharing this. I love sea turtles! This would be such an amazing experience. I have seen sea turtles in the wild before but not that close. Thanks for sharing !! This is really special. I have never done anything like this before. To be able to go to a place and swim like that with the turtles would be an unforgettable experience. Thank you for sharing. Error: Error validating access token: Session has expired on Tuesday, 02-Apr-19 16:48:27 PDT. The current time is Thursday, 25-Apr-19 11:50:49 PDT.